Miniature Schnauzers etc. 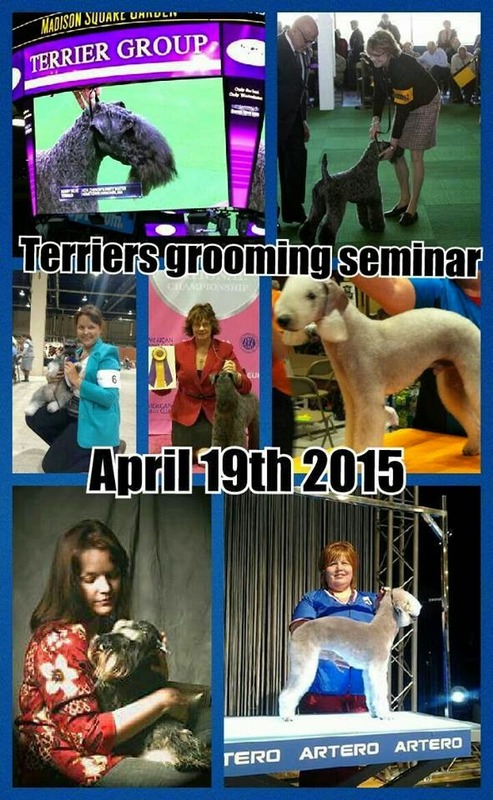 : Terriers Grooming seminar @ Elite Pet Spa & Boutique , Madison, New Jersey. Terriers Grooming seminar @ Elite Pet Spa & Boutique , Madison, New Jersey. Kerry Blue by Cheryl A Purcell Best in Show AKC and grooming competition winner, Westminster Kennel Club 2014 BOB winner. Mini Schnauzer by Tatiana Myers, show judge, breeder, handler. Bedlington terrier by Olga Zabelinskaya, BIS winner, Groom team USA member.